I love the way we can customize ... already doubled my 'sign up for email' customers in a few days! I wish I'd know how amazingly easy your system was from the start. For people who are starting with YL I will definitely recommend your site over the rest. Why should they have to go through the aggravation I did with other systems when they can start with the easiest and best! Wow wow just wow! I am loving this site more and more every day! Thank you for supplying all in one place what I need for my business. I feel you guys are above the rest. Keep up the good work! I have been researching web platforms for a replicating personal website, and GetOiling really impressed me with its beautiful layouts, the personalization options, the leg builder links... You have thought of EVERYTHING! And then, to top it off, I receive a personal email from you to ask if I have any questions about our new website... I can't imagine anyone not being happy with this site. Thank you so much. Words cannot currently express the level of satisfaction I am experiencing. Thanks to Kat Moyer, your first month is only $1 and you get half off your 2nd month! GetOiling helps you grow your YL business and duplicate yourself with ease. $6.13 USD/mo paid yearly for $73.50/first year, $77/year after - save $130.50! Includes free domain! $12.25 USD/mo paid yearly for $147/first year, $154/year after - save $141.00! Includes free domain! $25.38 USD/mo paid yearly for $304.50/first year, $319/year after - save $163.50! Includes free domain! $42.88 USD/mo paid yearly for $514.50/first year, $539/year after - save $193.50! Includes free domain! $86.63 USD/mo paid yearly for $1,039.50/first year, $1089/year after - save $268.50! Includes free domain! $174.13 USD/mo paid yearly for $2,089.50/first year, $2189/year after - save $418.50! Includes free domain! Choose My Address on GetOiling.com What's this? 樂 Want one month free and a free domain? Click here to pay up front for a year and save! 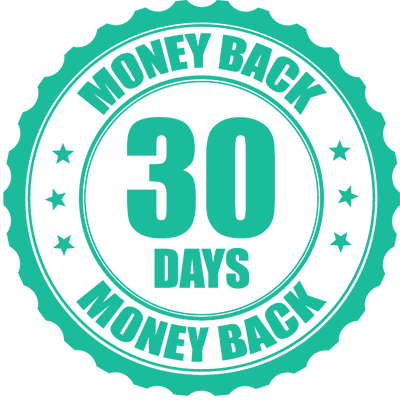 Your card will be charged immediately, and you have 30 days to cancel for a full refund. Building a business online doesn't have to be overwhelming. Sign up now and we'll send you a week of training showing you how to harness the Internet to grow your Young Living business without being a tech guru. Not Sure If GetOiling Is Right For You? Learn more about GetOiling from a YL Team Leader! Destined for Diamond is a 30-day training program designed to put you on the fast track to massive growth. With powerful in-depth lessons and targeted action steps delivered right to your inbox, we’ll show you exactly how to set up and maximize your GetOiling system, discover better and more effective time management, be more impactful in your business and become the leader you’re destined to be.